My literary story “Back from Vermont”, originally published in Takahe, then reprinted in Midnight Train has now been published, with two bonus stories, through Triple V Publishing as both an ebook and in print. 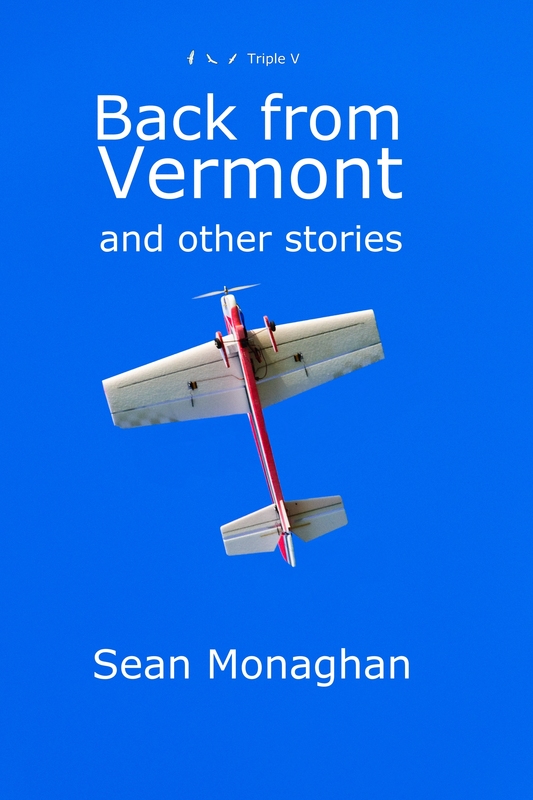 Back from Vermont is one of my personal favourites – quirky and heartfelt and fun. It was fun to write and it’s nice to get it out there so many ways. For those who happen to be in Palmerston North on Saturday October 13th, I’ll be reading the story (aloud) at the Palmerston North Book Fair at 11am. I will have copies of the book for sale ($11-), as well as some of my other books, and will do signings. Larry’s building a grand scale railway on the sidewalk right out in front of the house. And all along the street. Lisa’s furious, but the neighbors all want to ride. Includes bonus stories “Norwegians” (previously published in Literary Foray and “Steam Furnace” (first publication). This entry was posted in fiction and tagged book reading, collection, fiction, literary fiction, literature, scale railway, short stories on 4 October, 2012 by Sean Monaghan.